Now scroll down and pick a city. Columbus, Ohio—if you're not from the Midwest, this city probably isn't anywhere close to appearing on your radar, and I get it. It's not the most alluring place, but if you ever happen to find yourself here, you're in luck, because it's actually pretty awesome. But you don't have to just take my word for it—these guides will help you find out for yourself. Columbus wasn't always the nicest (or safest) city, but these days, it's gentrifying quickly. Gentrification is always a mixed bag, but one definite up-side is the emergence of an amazing post-industrial coffee scene. Take a read through, jot down a few names from this list, and come find out why Columbus has a reputation for being the coolest city in the Midwest! In addition to being home the largest university in the country (Ohio State), Columbus is also considered to be one of the gay capitals of America. These two demographics alone have sustained and enjoyed a vibrant nightlife scene for a long time now, but as Columbus develops, more and more midwestern millennials are relocating here, creating a well-rounded boozer's paradise. Columbus, Ohio is booming, with new businesses opening everyday. A center for academia and culture in the Midwest, the restaurant scene in Columbus is quickly rising to be one of the best in the region, but not everything worth visiting is a recent development. In this guide, we'll explore the best restaurants in Columbus, both new and old, as told by a native. In 2015 I spent a short time working and living in Dhaka, Bangladesh, working with a nonprofit called the JAAGO Foundation. During this time, I published a few different articles about Dhaka, which you can find HERE. The standard of living is extremely low. Too few foreigners visit Dhaka to justify building much to entertain them aside from a few business hotels. The country’s intense Islamic culture condemns the consumption of alcohol, forcing those that do want to drink it to turn to Bangladeshi moonshiners reminiscent of America’s prohibition era. The following guide should, instead, give you a general sense of direction, and let you know what you are in for if you decide to visit Dhaka. Trust me, you’ll appreciate the help. If you are looking for budget options for accommodations in Dhaka, you should probably just give up. The only foreigners that tend to come here do so on business. Consequently, the only hotels that cater in any way to foreigners are pretty up-scale. Compared to Western standards these hotels might be cheap, but they will be exponentially more expensive than accommodations elsewhere in the region. If my time abroad so far has made me an expert in anything, it would have to be Hanoi, Vietnam. I lived here for upwards of a year as an ESL teacher, so I’m a good person to talk to about the practicalities of life in Hanoi. While I have published a plethora of articles about events that transpired within Hanoi’s city limits (indexed here), these are my big 3 city guides. Whether you are passing through, or thinking about making the jump for real, I’ve got you covered. Considering making Hanoi your home for a while? Awesome! It's a great place to live, but it can take some getting used to, and knowledge is power. This guide should answer all the questions you could have about moving to Hanoi, but if you're still feeling uncertain, don't hesitate to reach out and ask me yourself! Just passing through? Looking to explore and have some fun? This guide will give you a peek at some Hanoian favorites from the perspective some more permanent residents. Trust me, hanging out with the locals and the expats is a totally different world than Hanoi’s rowdy backpacker scene. Last, the traffic in Hanoi is the stuff of legends, and not in a good way. If you come to Hanoi, you’ll likely want to rent a motorcycle to get around. This article walks you through the 10 rules of driving in Hanoi. Read it now, thank me later. 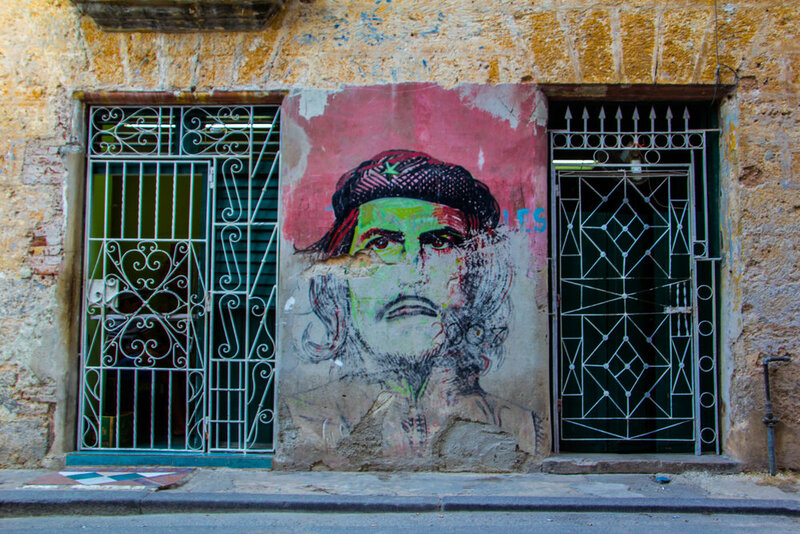 Cuba's tumultuous last few centuries have made it a supremely interesting country, especially for Americans like me. There's no place like it in the world, but for all the amazing things that Cuba has to offer, traveling here comes with some unique challenges. And I'm here to help. Things are changing! Any American with a passport and a sense of adventure can now get a direct flight to Cuba, but it's still a little complicated. In this article, we'll walk through exactly how to make it happen, as well as the rest of the practicalities involved in traveling to Cuba. This will be extremely helpful regardless of your nationality. Finding the information you need to make the most of your time in Havana can be tricky. Internet access is a scarce commodity in Cuba, so you'll need to do some research ahead of time in order to "hit the ground running." This article should serve as a good introduction to Havana, it's neighborhoods, and it's restaurant/nightlife scene. Literally the crossroads between Europe and the Middle East, Istanbul has always had a lot going on, and that's more true now than ever before. There’s a lot to do and see, so these articles should give you some direction before you arrive. If you want to read more on Istanbul, check out the official Turkey Index. Have a few days to spend in Istanbul and you want to see the sights? In addition to providing you with some historical context, this article goes through most of the major tourist attractions (and prices) in Istanbul, and includes a boat trip down the Bosphorus to the Black Sea as well. I was lucky to been among friends when I was in Istanbul, both expat and local, who showed me the city through their eyes. This article walks through some of the local foods and customs, mostly through the lens of neighborhoods on the Asian side of the Bosphorus like Kadikoy, Moda, and Uskudar. Nashville has a well-established reputation for being the country capital of the world, but that is only a small part of the story. In the past decade, Nashville has outgrown its quaint, southern roots to become a booming, cosmopolitan city. Still, as an outsider in Nashville, it can take some snooping to figure out exactly what this city has to offer outside of the campy country music world. Well don’t worry; your search for information ends here. There’s a lot more to Nashville than Honky Tonks and bachelorette parties. Nashville has one of the best music scenes in the world and a vibrant community of musicians working to make it better every single day. However, tapping into Nashville’s indie side isn’t always easy. This guide should help you with nightlife & music in Nashville. This might seem random, but Nashville is actually a total foodie town. It would take years to exhaust all that Nashville’s restaurant scene has to offer. It was quite an undertaking, but I took the time to take pictures of all my favorite restaurants in Nashville and compile a guide for you. If you’re looking for good food in Nashville, you just found it. Nashville has a vibrant coffee shop scene. All across the city, coffee shops are oases, filled with entrepreneurs, musicians, students, and more. And between Nashville’s many small, office-less companies, budding start-ups, and already-huge-but-still-rapidly-growing community of musicians, these coffee shops can range from being social fixtures to full-fledged co-working spaces! During my time in Rangoon, Burma (a.k.a. Yangon, Myanmar), I was lucky to have a local expat take me under their wing for a few days and give me a taste of the local scene. If you know where to go, Rangoon can be more than just fascinating, it can be fun! In the article below you will find reviews, addresses, and pictures from some of Rangoon’s emerging nightlife/restaurant scene. To find out more about the rest of the country, check out the Burma Index. I can’t over-stress how interesting this city is. I was, at all times, overwhelmed by what was happening around me. It was undoubtedly the most alien feeling place I have ever visited, but I would visit again in a heartbeat. And I'm not the only one who feels that way. Burma has only been open to outsiders for a few years now, but it has already begun to develop a great restaurant and nightlife scene. It's Burma, so it's a little sketchy, but it's awesome. Think of it like the Brooklyn of Southeast Asia (back when Brooklyn was only just beginning the process of gentrification). Reykjavík isn’t just the capital city of Iceland; it’s pretty much the only city in Iceland! It’s also the northernmost capitol city in the world, which means that depending on the time of year you visit, you’ll probably be living in perpetual daylight or eternal darkness. If you want to read more about Iceland beyond just Reykjavík, check out the Iceland Index, which lists every article on Iceland according to location. If you have a long layover in Reykjavík coming up, or will be traveling through Iceland In earnest, you’ll want to spend at least a day seeing the sights of the capital city. 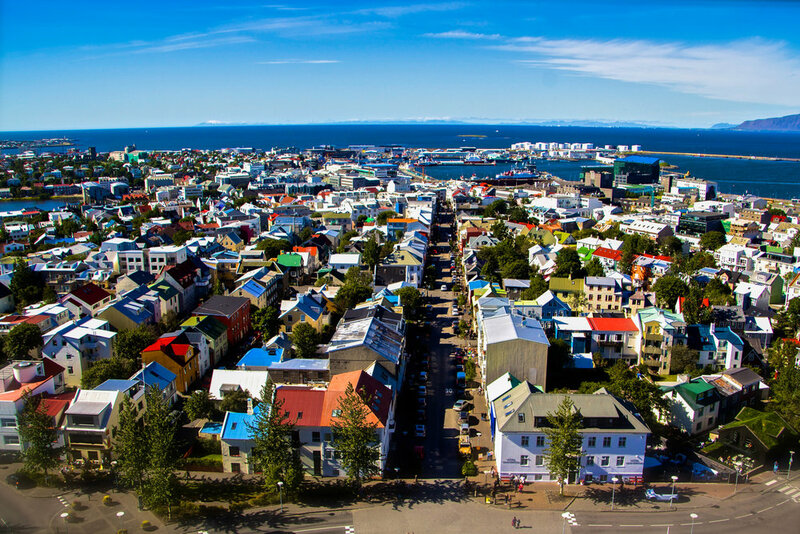 In this guide, we’ll walk through all the big tourist attractions you’ve been looking forward to seeing (and a couple that you probably haven’t heard of), so that you can make the most out of your time in Reykjavík. You might not know this, but Reykjavík has been earning itself a reputation as the closest and wildest party destination to the North Pole. 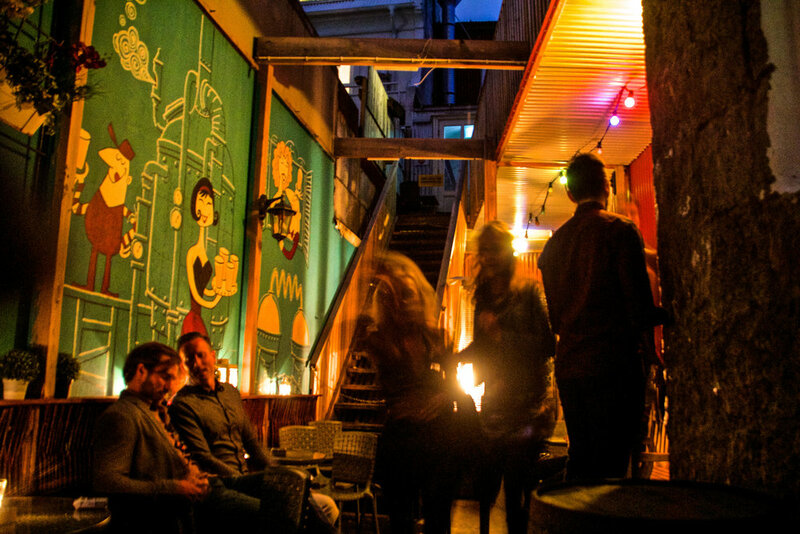 Reykjavík has a quite vibrant bar scene and in this guide, we’ll take a look through 10 of its best. So if you’ve got a night of drinking ahead of you, this should give you a little direction while you’re still sober. It’s even got a map.